The Cheifs were one of the best of the early Southern California punk rock bands that many of you may not have heard of. The band’s output consisted solely of one 7″ and two compilation appearances. The band came and went almost in the blink of an eye but man did they leave behind some killer songs. The Cheifs – Blues 7″ is one of the best CA punk rock singles of all time. 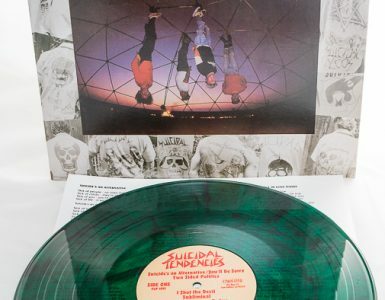 It was such a great record that a quarter century after its release I tracked down one of the band members to get permission to reissue the 7″ so people could get it without paying a fortune for an original copy on eBay. 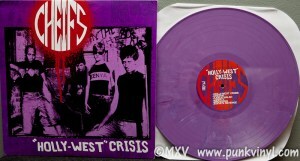 It is just one of those punk records that everyone who is a fan of the genre should own. While the band didn’t last more than two years, they did manage to record more tracks than what they released and those sat on a shelf for more than a decade before Flipside Records (the label arm of the long-defunct fanzine) got their hands on the tapes and released a CD that compiled everything The Cheifs ever recorded. It was a punk rock treasure chest that came and went in the blink of an eye because the label and zine both folded a few years later. The story of Holy-West Crisis didn’t end there though. A handful of years ago Dr. Strange Records acquired the rights to The Cheifs material and reissued the CD as well as a very limited run of the collection on vinyl. 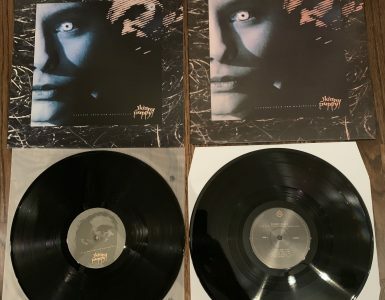 While the CD has been available ever since, the vinyl has been out of print once again for years until now. 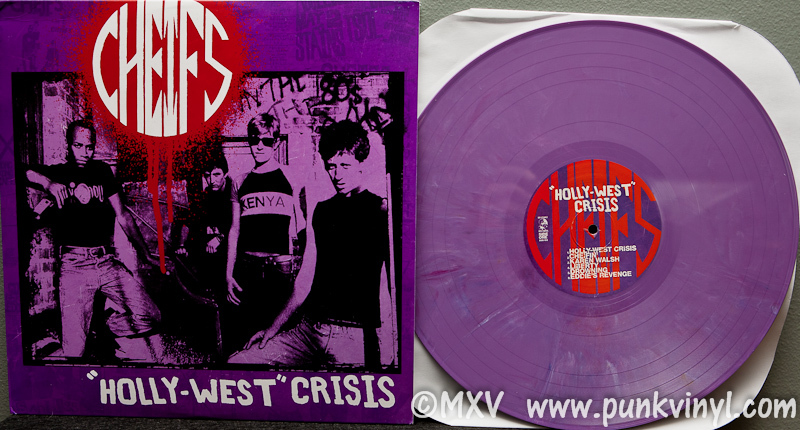 Holy-West Crisis has been given a second life on vinyl in a much more attractive package than the label’s first go-round with it. 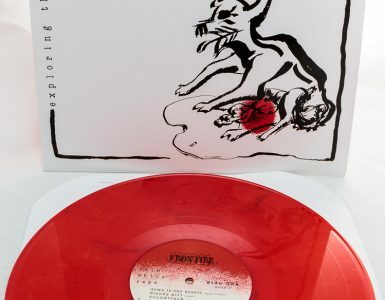 This time the record ditches the silkscreen cover in favor of a proper printed color cover. It is printed on standard LP cover stock. The front features a great old photo of the band and a spray painted looking band logo. The back is a collage of flyers that was what was used for the first edition’s front cover. Inside you will find the LP that comes on either black vinyl or a much more limited purple vinyl. It also contains a two-sided glossy insert with tons of old band photos and all the recording information. The record was mastered hot so it is very loud and in your face, much like the band’s music was back in the day. The label pressed a total of 1000 of these with most of them being on black vinyl. If you want one, especially the far more limited purple one check out the Dr Strange Records website. The label is also a store and has tons of great punk records old and new.